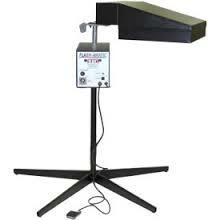 BBC Industries Air Flash Dryer - RC Screen Shop & Supply Co.
A combined infrared and pass-through air dryer, our Air Flash Dryer is ideal for flashing or curing water-based or plastisol inks. Categories: Equipment, BBC Industries. Tags: BBC, Black Body, infrared flash unit. A combined infrared and pass-through air dryer, our Air Flash Dryer is ideal for flashing or curing water-based or plastisol inks. This powerful dryer uses forced air. Holes spaced evenly across the heater face make for a remarkably level spread of air. A blower in the rear of the dryer provides a steady stream of air through to the T-shirt.